The concert which held at the Ikeja City Mall was in appreciation of his teeming fans that have stood by him since he hit the limelight in 2008, when he featured in 9ice’s “Bachelor’s Life.” olamide The rapper and his industry friends took turns on the night to give back to the streets. Expectedly, the ‘streets’ turned up in their tens of thousands and were not disappointed as they watched their favourite artistes perform on stage. A couple of budding artistes set the tone for the night. But it was Reminisce and Olamide that stole the show. Though Reminisce’s first outing was uninspiring owing to the poor production output, yet he held the audience spell bound throughout the night with his energetic performance. The ‘Alaga Ibile’ later launched on stage a new model of the Samsung smartphone alongside some of the brand executives, including the company’s Director and Business Leader, Information Mobile and Technology, Mr. Emmanouil Revmatas. Speaking on the new product offering,Reminisce said that the Galaxy Prime+ comes with really cool and exciting features that perfectly combine practicality and style. Other artistes who performed on the night were talented female singer, Eva Alordiah who put up a good performance of her songs, ‘Deaf’ and ‘Kanayo’, before going into a sober inspiring tone, advising the audience never to give up their dreams when challenges come their way. New school Fuji Trap and hip-hop act, Terry Apala also came through and had a fairly good reception of his ‘Champagne showers’ performance. Reminisce came through with his second appearance on the night, shortly after Seriki dazzled the crowd with his street crafted lines. 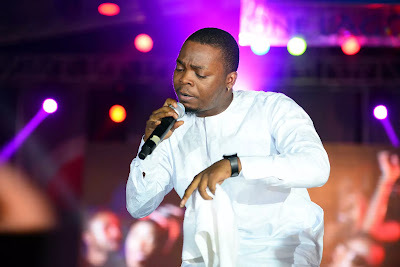 The ‘Asalamalekun’ rapper was joined on stage by Seriki and then YBNL baddo Olamide. Baddo took over the floor, performing his hit songs back to back, to the admiration of the audience who would not stop cheering and singing along with him. Ckay, Mz Kiss, BaseOne, Wale Turner, Falz, ReakadoBanks, Mayorkun, Ycee, HarrySong, Dremo, Niniola, Orezi among others gave a very good account of themselves on stage.